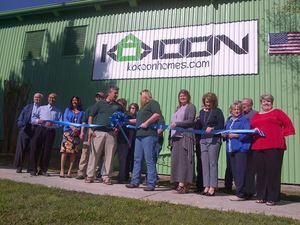 There was an excellent turn out at the ribbon cutting for Kokoon homes at their new building on West Doyle Street. They have really done an outstanding job transferring that building into a wonderful location for their business. They also have a great webpage to check out: http://kokoonhomes.com/.